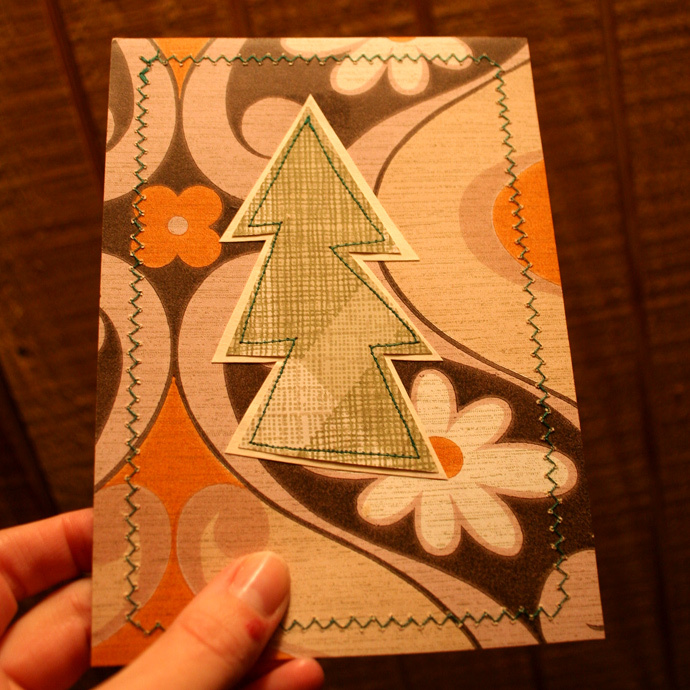 I acquired a few scrap pieces of vintage wallpaper a few years ago and decided to turn them into a few non-traditional holiday postcards to send to some of my vendors at work. 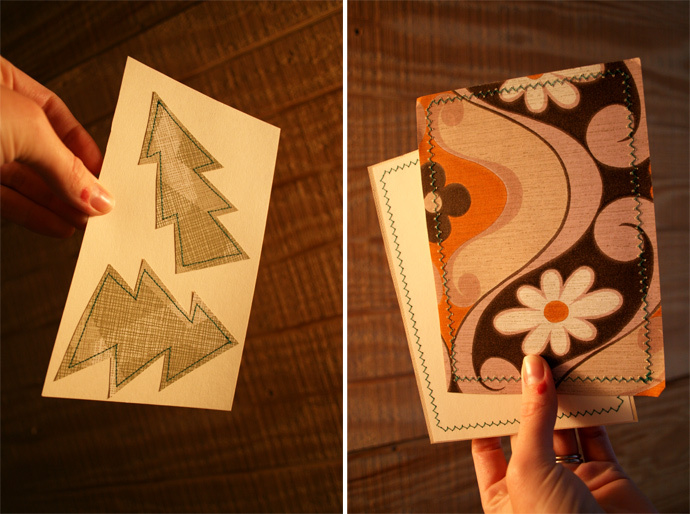 I love the way sewn paper looks. 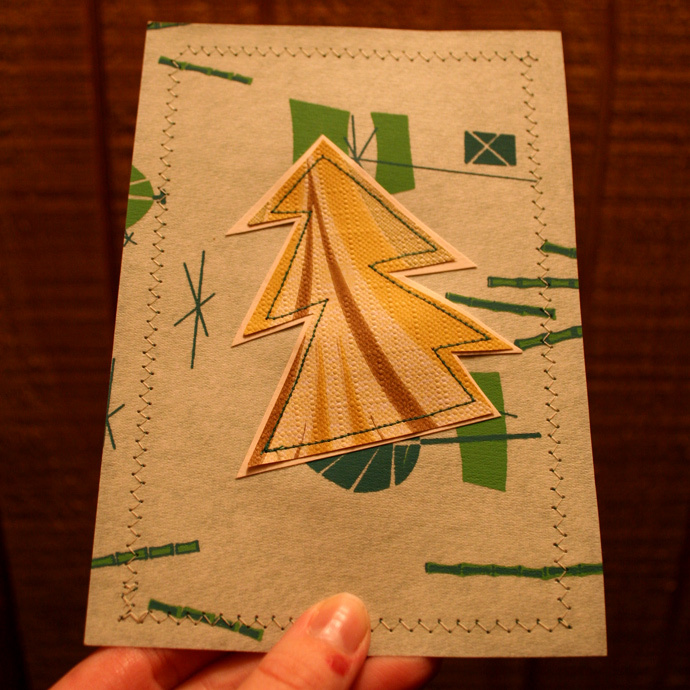 It adds texture and works well on any mid-weight paper or card stock. 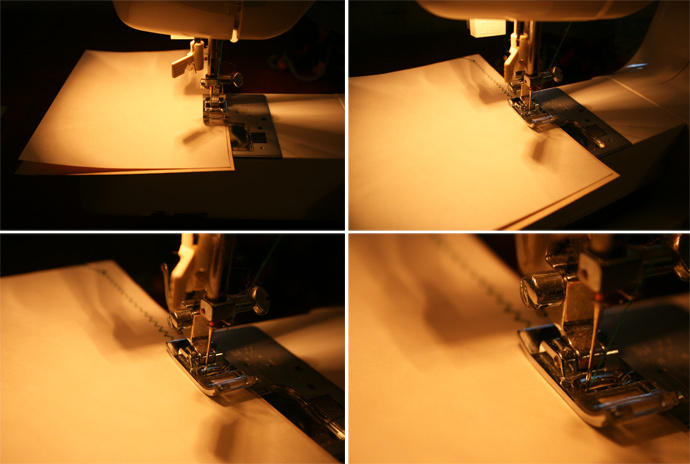 It's easier than sewing fabric, in my opinion, so all you weary machine-sewers should get it a try. 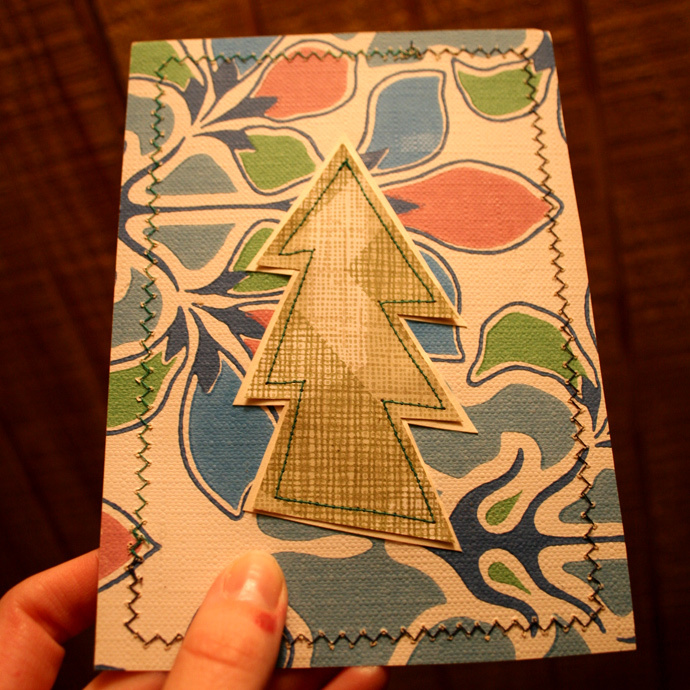 I hand-cut the trees out of a seasonal-ish wallpaper, sewed them to a neutral card stock to add some stability and glued them to the postcards. © 2011 Yeah Vintage. Powered by Blogger.